Last week’s collision between the Kosmos and Iridium satellites was an exceptionally rare event. But with the growing field of orbital debris now encircling the planet, the ability to predict and avert such occurrences is today a key issue. CNES is at the forefront of efforts in this respect, keeping a constant watch over 15 satellites in low-Earth orbit and performing collision-avoidance manoeuvres when necessary. Tuesday 10 February, 2 satellites collided in space: the Russian military satellite Kosmos 2251, out of commission since 1995, and Iridium 33, an operational U.S. telecommunications satellite, both shattered on impact, generating a new cloud of orbital debris. 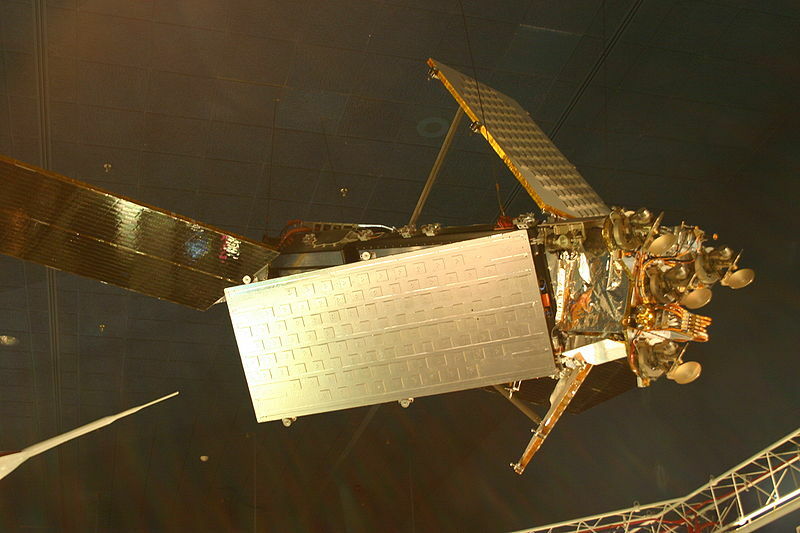 The U.S. satellite Iridium 33 was smashed to pieces last week. Credits: NASA. “This is the 1st time 2 intact satellites have collided,” says Fernand Alby, who heads orbital debris activities at CNES in Toulouse. “Although the volume of orbital debris is rising, operators are only just beginning to grasp how serious the problem is. And not all of them have the ability to track orbital debris.” CNES, on the other hand, has developed an advanced debris tracking capability. The main source of data is currently the U.S. government’s Space Track system, which provides Two-Line Elements (TLEs) for 12,000 catalogued space objects larger than 10 cm. But TLEs are accurate to no more than a few hundred metres. They are used to predict a few days ahead if an object is likely to come within the vicinity of a spacecraft. 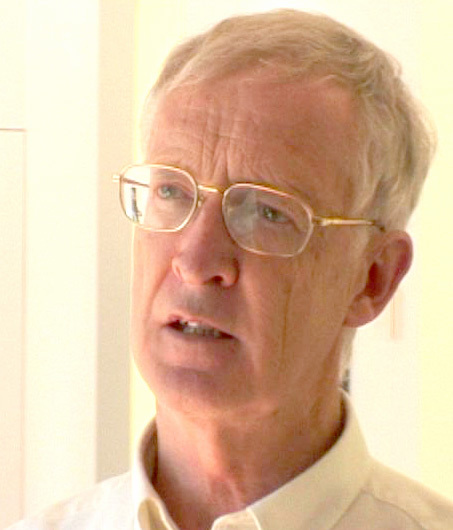 Fernand Alby. Crédits : CNES. That gives CNES enough time to do a more precise risk assessment. How does its system work? “When a collision risk is identified, a ground radar is cued to evaluate the object’s trajectory more accurately and determine whether an avoidance manoeuvre is necessary,” explains Fernand Alby. This procedure has been in place since July 2007 for 15 satellites under CNES’s control. Two other satellites in geostationary orbit are also being tracked experimentally. 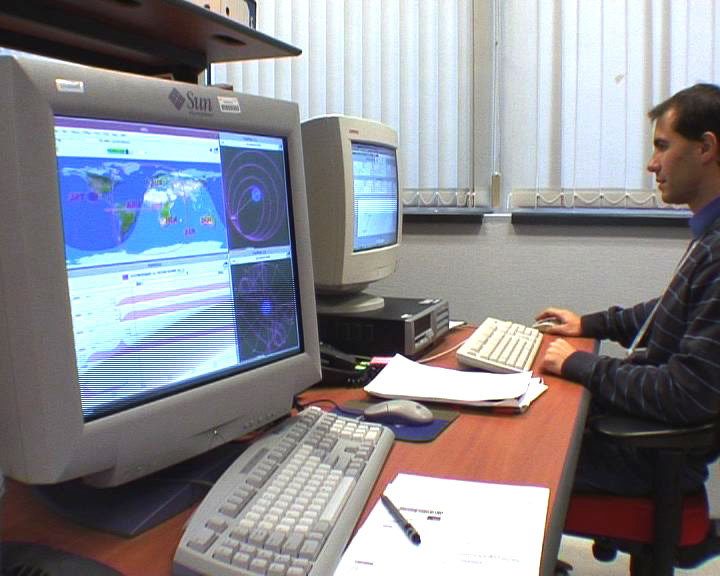 CNES’s operational orbit determination centre in Toulouse is responsible for space surveillance. Credits: CNES. 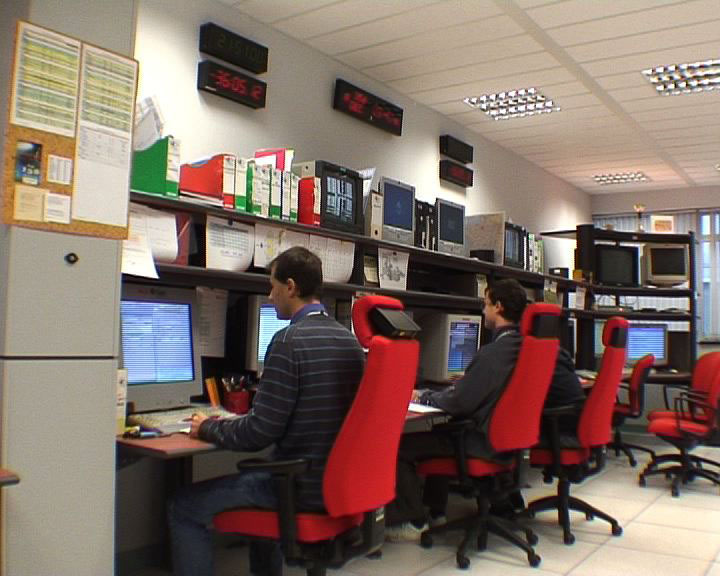 The screens at CNES’s operational orbit determination centre keep 15 satellites under close watch. Credits: CNES. “We’ll never be able to avoid collisions completely,” affirms Fernand Alby. “And the recent collision is going to increase the threat to satellites orbiting at 700 to 900 km.” That means more work in store for CNES’s engineers.